If you have not been directly impacted by the tragic California wildfires, it can be hard to understand exactly what victims are going through. The California wildfires have become the deadliest and most destructive in the state’s history. Additionally, hundreds of people are now missing as a result of the Camp, Woolsey, and Hill fires. Hundreds of thousands of people have been forced to flee their homes, and thousands of houses are completely destroyed. The Center for International Disaster Information (CIDI) explains how donating money is the best way to support relief efforts. In order to ensure the effectiveness of your contribution, it is important to research organizations prior to donating. Referencing the Charity Navigator Tool is a great way to locate a trustworthy charity or nonprofit organization. 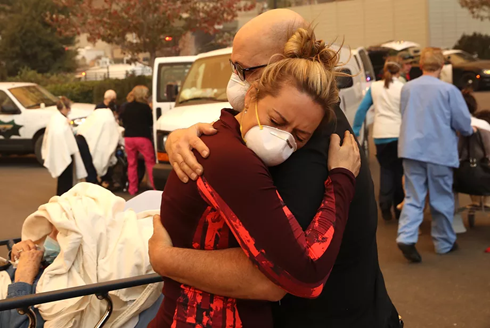 Many nonprofits seeking donations include The California Community Foundation’s Wildfire Relief Fund, American Red Cross, and The California Fire Foundation. You can also help animals affected by the wildfires by donating to VCA Charities, a nonprofit currently offering free pet boarding throughout northern California. In addition to these nonprofit organizations, GoFundMe is providing a series of campaigns that allow you to donate to specific families who have lost their homes, as well as animals, educators, schools, and first responders impacted by the fires. Airbnb has also activated The Open Homes program, which will allow hosts in Northern and Southern California to provide victims with free (temporary) housing. The program will extend until November 29th, and hundreds of hosts have already opened up their homes to evacuees and aid workers. No matter where you live, you have the ability to help those affected by this extreme natural disaster. Making contributions, even if minor, can really go a long way. In addition to donating, taking the time to promote noteworthy charities or nonprofit organizations on social media can help make a difference.